Hou Yifan won the second game of the Women’s World Championship Match and after 2 games the score is 1, 5:0,5 in her favor. The first two moves of the second game were the same as in the first round but on the third move Hou Yifan moved her bishop one square further forward and Ruy Lopez (or Spanish Game) appeared on the board. 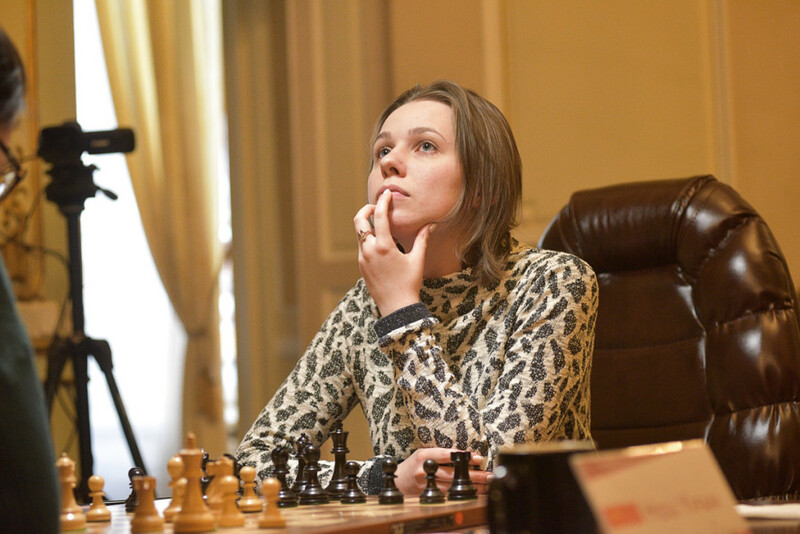 In the central variation Chinese player chose a line with 9.Be3 but Maria Muzychuk seemed well-prepared at the opening. However, the position became so complicated that both players spent most of their time before the move 20 and had to play under the time pressure the rest of the game. 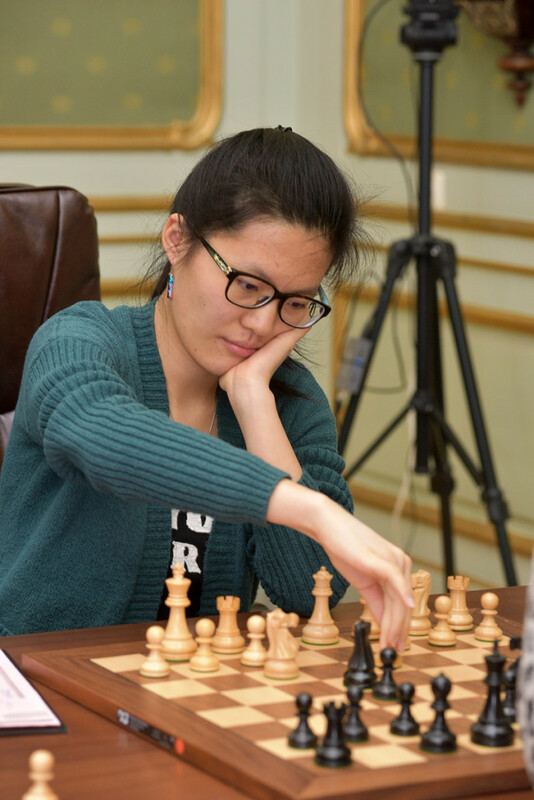 According to Hou Yifan, she started to evaluate her position as a better one after she pushed f5. In fact the crucial mistake of Black happened on 27th move. Instead of 27…Bc5 Maria could still play 27…Bg3 and after 28.Qg3 Re8 try to find some conter play. 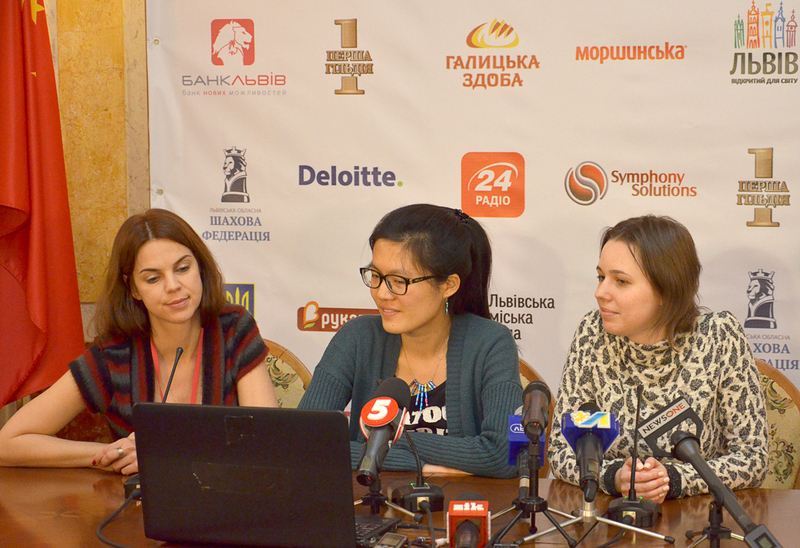 After the move in the game Hou Yifan played very precisely and after 32 moves Women’s World Champion had to resign. “I can’t affirm where exactly theory ended. I rather remembered typical ideas, than variations”, stated the Chinese player. “The most decisive was the time trouble, because of it we both allowed inaccuracies”, believes Hou Yifan. Both players stated that after they gained the title of World Champion they felt rise of interest to chess in their homeland. For example, Hou Yifan claimed that in her home city chess is now the most popular kind of sport. 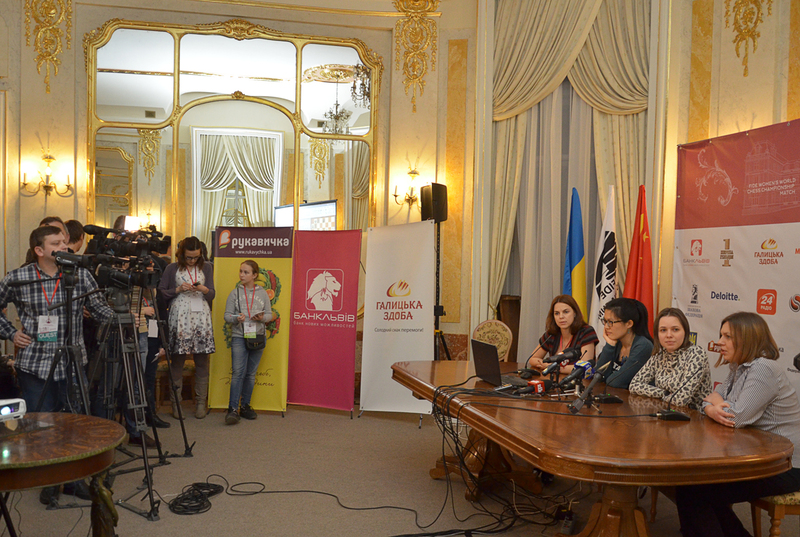 Mariya Muzychuk mentioned that since September chess was introduced into school program in Lviv.